At Ashleigh Green, we understand that you work hard to enjoy your home and your possessions, which is why we work hard to help you protect them. We have access to some of the best insurers that provide comprehensive polices to protect your property and assets. As part of our service commitment to you, we will provide you with all the information you need to give you the peace of mind that your home and contents are protected in the event that something unforeseen should happen. Sometimes life can take an unexpected turn, and if it does, the impact on you and your loved ones can be devastating. You might not be able to prevent ill health or accidents, but you can prepare for them. By putting in place the right insurance policies, you can ensure that you and your family are cared for in the event the unthinkable happens. At Ashleigh Green, we have over 15 years of experience helping people make the right decisions when it comes to selecting policies that provide critical protection when it matters most. With our help, you can ensure that if the worst should happen, you, your loved ones and your home are looked after. Critical illness and death can be devastating enough without having to worry about the financial ramifications as well. At Ashleigh Green, we can help you find appropriate protection for illness, serious accidents, consequential unemployment and the loss of a loved one. A standard life insurance policy is essentially the most straightforward way to insure your life. For many people, it often works out to be the most cost-effective as well. With this policy, you are covered for a fixed period, and should you die during the term of the policy, your provider will pay out a lump sum. At Ashleigh Green, we’ll get to know you to find out more about how we can help you choose the right life insurance policy. We’ll assess things like your long-term plans, your current financial status and your health history, and then will present you with the best options to suit your finances and ensure your family is covered for any eventuality. While some people may want their loved ones to receive a lump sum in the event of their death, others may also want to have a plan in place that ensures they get a tax-free lump sum should they be involved in a catastrophic accident, or be diagnosed with a specific illness. These are just a few of the ways in which terminal illness insurance could be incredibly helpful during a difficult time. We will work with you to determine which is the best policy based on your specific needs, as not all providers will offer the same protection, and major illnesses such as cancer or pre-existing conditions are often not covered. 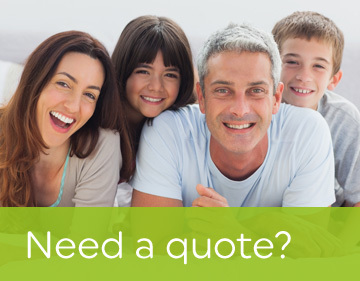 In order to make sure that you are opting for the right policy that will in fact provide your family with the support and financial peace of mind they will need should anything happen to you, turn to Ashleigh Green. Suffering a workplace accident or being diagnosed with an illness can lead to you being off work, which can have serious financial repercussions for both you and any dependents. Even if you are employed full-time and eligible for sick pay, employers may not pay out for more than 12 months, after which you may be left to struggle just to make basic ends meet. Furthermore, if you are self-employed, having protection to replace your income should anything happen to you is absolutely vital. With an income protection insurance plan, if you are left unable to work due to sickness or an accident, you will receive a regular payout of income. You can choose the length of the policy to ensure continuous payouts, and so many people choose a term that ends with retirement. Failing to keep up with your mortgage repayments can result in your home being repossessed, and so if you have recently qualified for a mortgage, putting income protection in place alongside this can give you peace of mind that you will not lose your home in the unfortunate event that you suffer an injury or are diagnosed with an illness. At Ashleigh Green, we can help you find the right income protection or mortgage payment protection insurance to ensure you are covered. With mortgage protection insurance, you are covered in the event that an accident, illness or unemployment renders you unable to pay your mortgage. Sometimes called “Accident, Sickness and Unemployment protection”, this type of insurance will pay out to cover your mortgage monthly payments for the length of your term. Failing to keep up with mortgage repayments can result in your home being repossessed, and so for many people, having mortgage protection insurance in place provides substantial peace of mind. If you are worried about being involved in an accident or losing your job, or if you are the sole earner in your household, you may benefit from having this type of insurance protection in place.